Updating your Loops with your latest Pins is a snap! See how here. 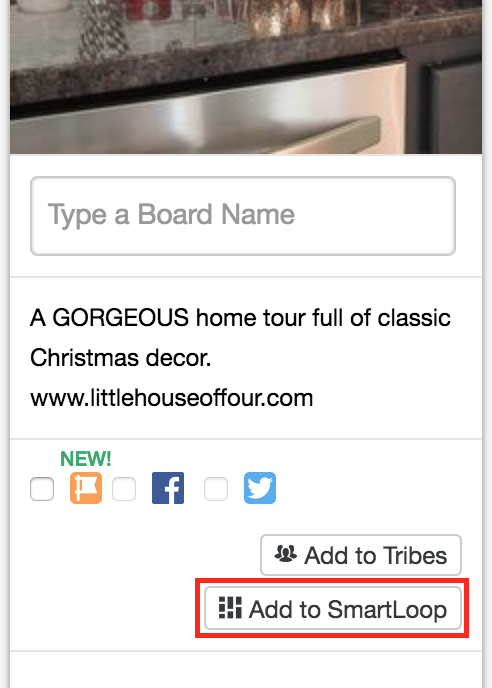 Helpful tip: We highly recommend using the Most Popular button in the top right corner to select Pins that are already performing well on Pinterest. And then select the Loop you'd like to add the Pin too! That’s it! 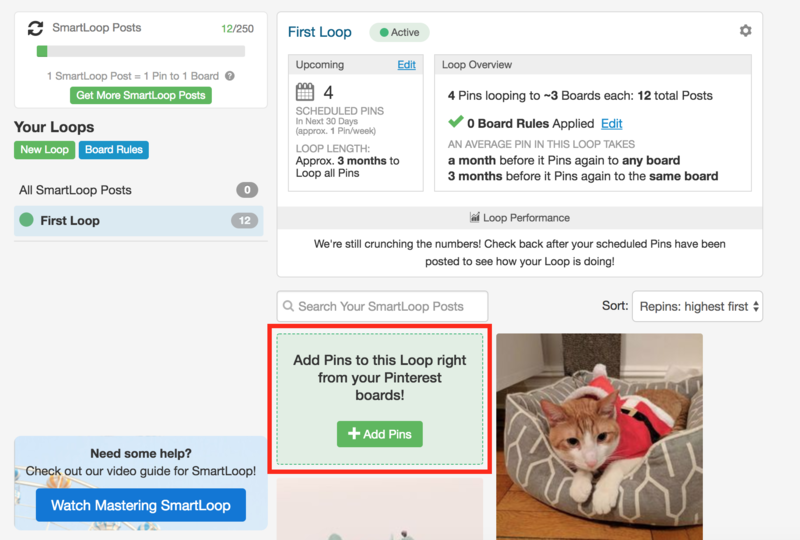 Your SmartLoop will prioritize your newly-added Pin and share it first.